The writs for the upcoming 2 July election were issued in accordance with our Constitution on Monday. You might think this is not a very interesting topic. Almost like watching paint dry. But it is an important aspect of our governance, so we’ll try to make it as interesting as possible and we’ll keep it short this week. So what is a writ? A document commanding an electoral officer to hold an election, and contains dates for the close of rolls, the close of nominations, the polling day and the return of the writ. The Governor-General issues the writs for House of Representatives elections and the State Governors issue writs for States' Senate elections. So basically Australian election writs are the Queen’s representatives in Australia issuing an order to hold an election. There are two sections of the Constitution that apply to the issuing of writs. One for the Senate and one for the House of Representatives. As you can see from the above, the writs for both Houses of Parliament must be issued within ten days of the dissolution. The 44th Parliament was dissolved at 9.00am on Monday 9 May and the writs were issued one week later on 16 May. So why do we have them? It is one of the essential processes of our system of government. Elections have to be initiated somehow and this is laid out in our rule book, the Constitution, starting with the dissolution of Parliament and then the issuing of writs. This process is the start of the democratic journey that the people of Australia take every three years to elect their federal political representatives. At the end of the day the people elected to govern for us are elected by us and the issuing of writs starts the activity. Why are the State Governors involved? The Constitution, while it gives the Federal Parliament wide legislative powers in respect of the mode of election and laws relating to elections of Senators, seems to vest the administrative conduct of the elections wholly in the States. The State Parliaments are to fix the times and places of the elections; the State Governments are to issue the writs and certify the result of the polls. The power to issue the writs involves the power to appoint returning officers, who will be State officials, and whose duty will be to appoint deputies, to fix polling places, to advertise, to hold the elections at the times and places prescribed by State laws, and to return the writs to the Governors of their respective States. The method of election (sec. 9) and the laws relating to elections (sec. 10), except as to the times and places of elections, may be prescribed by the Federal Parliament; but the executive control remains constitutionally vested in the States. In practice, what happens is the Governor-General writes to each of the State Governors inviting them to issue a writ for an election to be held on a certain date. Each State Governor then seeks advice from their Premier and Ministers that the date is agreeable and then the Governor signs the writ. How the rest of the election is run is stipulated by the Commonwealth Electoral Act. 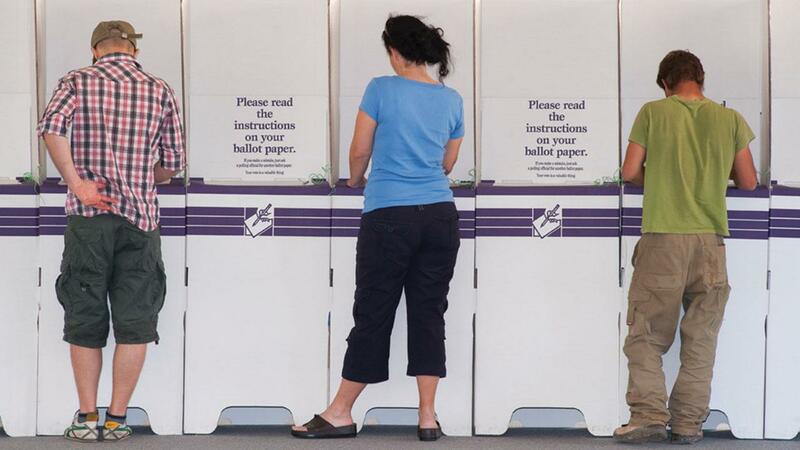 What it means for this election is that the electoral rolls close next Monday 23 May (so make sure you remind anyone that has moved house or turned 18 since the last election to enrol) and nominations close on 9 June. The election will then be held on Saturday 2 July 2016. This legislation also states that the return of the writs must occur within 100 days of their issue. The date set out by the Prime Minster as the latest date for the return of the writs is 8 August 2016, which is 84 days. According to section 5 of the Constitution, the Parliament must meet no later than 30 days after the day appointed for the return of the writs. This means that the latest date the new Parliament can meet is 7 September 2016.